New film technologies seem to be released almost every day. Here are the four most important future film technologies that will revolutionize how we make and enjoy movies. New film technologies continue to have a great influence on the movie industry. Let take a look at four ways new technologies will change moviemaking. Since its inception with the late 1800’s “motion toys”, cinema has always been an amalgamation of art and technology. 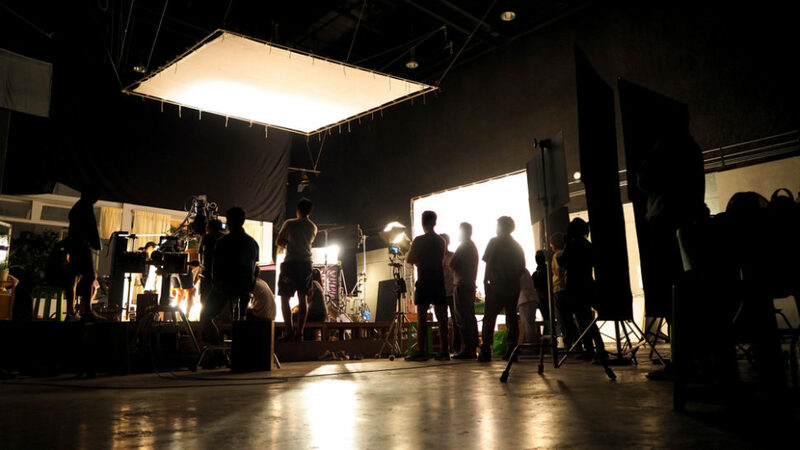 In addition to the emergence of new broadcasting channels and streaming platforms, film creation relies more and more on the use of new film technologies. In the digital age, film technologies are pushing what’s possible in moviemaking to limits that were once treated as science fiction. Take the 2016 Jungle Book movie for example. The film is almost entirely created inside a computer, and it’s not counted as an animation. Disney calls it a live action remake of the original 1967 original animated movie. Yet everything in this world is digitally created, except for Mowgli. Sometimes tech so deeply affects cinema in its artistic dimension that the concept of cinema itself is questioned. In fact, we may only just be at the beginning of this rollercoaster. Here are four tech breakthroughs which could revolutionize filmmaking as we know it. To make 360° VR movies, filmmakers need specialized cameras to capture footage. Crews also need AI–powered algorithms to stitch all the footage together. Of course, there’d still be sets, actors, and other aspects of the traditional moviemaking experience. But drones, AI, and custom hardware will contribute most to the shaping of 360° VR Filmmaking. All of these technologies are at varying early stages of development, however they’re advancing and growing at an increasingly fast pace. Unity is a game engine that supports 2D, 3D and VR, and features a slew of features, including tools for game designers to tell more visually beautiful stories. Thanks to Unity’s Timeline tool, creating cinematic sequences is easier than ever. In 2016, Unity Technologies published a short film titled Adam. The film demonstrates the amazing filmmaking tools of its game engine. Then, the company went on to create two sequels to Adam with Neil Blomkamp, the director of “District 9”. Visuals are a part of the filmmaking combination that includes sounds to accompany imagery and accentuate its effects. Game engines like Unity, for example, have to rely on a library of sounds captured from different natural environments. Computers are able to create more and more photorealistic graphics. But when it comes to sound effects, they still can’t match the ability of human Foley artists. However, computers are catching up sound-wise. A new CG sound effects system from Stanford University can create realistic sound effects and sync them to visual animations. Once further developed, systems like this could easily create in-house CG sounds. This would make it easier than ever for studios to create films entirely from within a computer. Sony Pictures and Sony Electronics are both parts of the giant Sony Corporation. “The Exorcism of Hannah Grace” is a recent Sony Pictures thriller on which Sony Electronics collaborated with its α7S II camera. The film is the first feature film entirely shot with a full-frame “mirrorless” camera. The movie’s story and its rotten reviews aside, Sony’s α7S II camera offers a much cheaper solution than the usual expensive equipment, such as RED, Arri and Panavision models. The low cost of the device, at $2,200, and its portability allow filmmakers to work in a tight deadline by deploying multiple systems with different lenses all at once. With over a $24 million worldwide box office total, Sony can call the film a financial success, considering its $9.5 million budget, brought that low thanks in part to the use of α7S II cameras. What other new film technologies will have considerable implications for filmmaking?